We have blasted the US Military on this blog for the way they have not prioritized head trauma on the battlefield. And how making soldiers go back to “war” before their brain was ready may have caused deep and permanent damage upon return to civilian life. Jon Hamilton of NPR has written a story about how the US Military has “called and audible” of sorts. Using the information and model from the NFL the military is now taking soldiers out of action until they have recovered. 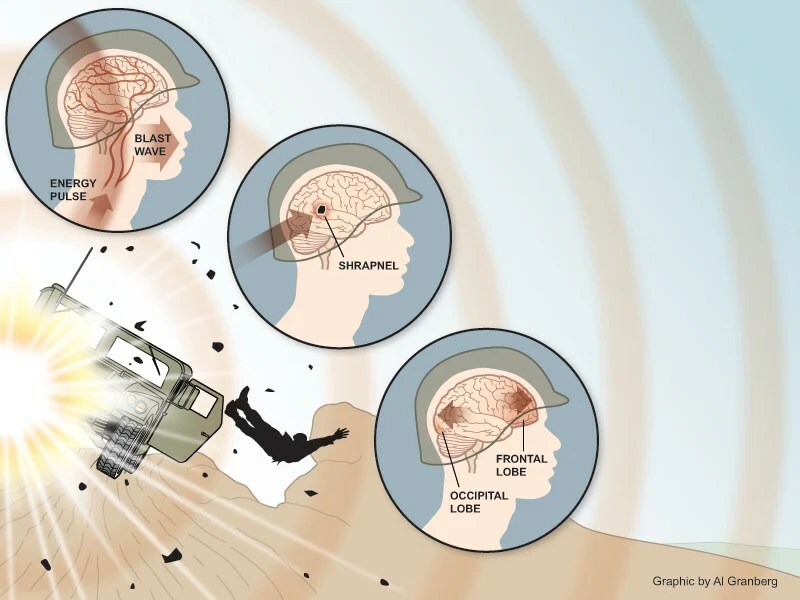 The blast can produce “a concussive wave, or a blast wave, that actually moves the head and body very violently and that can, in fact, cause a concussion,” Hovda says. Brain scans show that for days or even weeks after an injury like this, the brain’s metabolism slows down, which leaves some cells starved for energy, he says. Follow the link for the full story and some very good multimedia teaching tools.